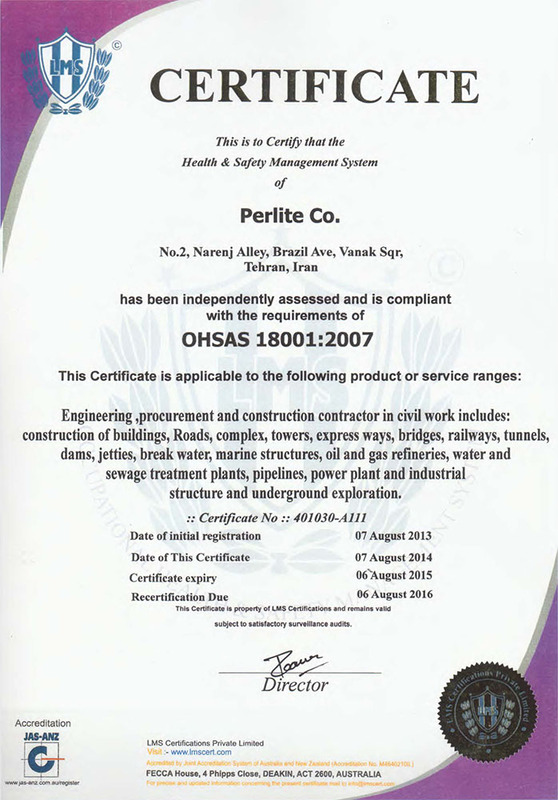 Focusing attention on Health, Safety and Environment is highly valued and considered a basis for Perlite's business, who takes care of them with diligence. Reaching to sustainable development, creation of safe workplace, promotion of living standards and prevention of damages to property and environment are among aims of Perlite, who believes good performance in HSE has profound effects on productivity and profitability of Perlite projects. 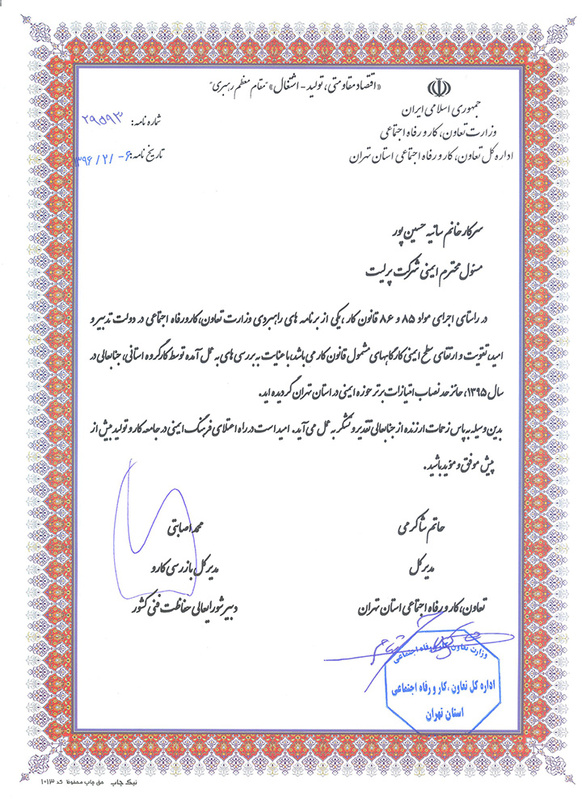 HSE plan is a document which contains a relatively complete details set of programs, processes and procedures within HSE management system used in all stages of conceptual and basic studies, detailed design, construction, commissioning and operation (lifetime of a project or process) regardless of its type and nature. This document provides a compiled framework for required activities and relevant responsibilities. It warrants observance of HSE requirements, offering preventive solutions, challenging and eliminating hazardous factors that lead to environmental hazards. Ultimately, it improves HSE performance. For this reason Perlite has been successful, during its three decades of infrastructure projects execution, by adhering to international safety guidelines to protect human life at project sites. 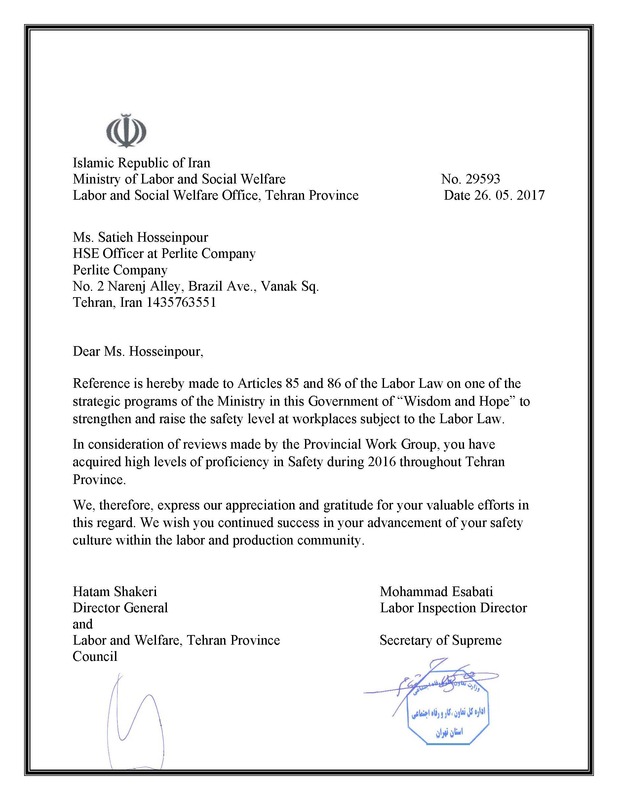 In most of these projects the rate of accidents have been far less than the international average standards, something that has been acknowledged. 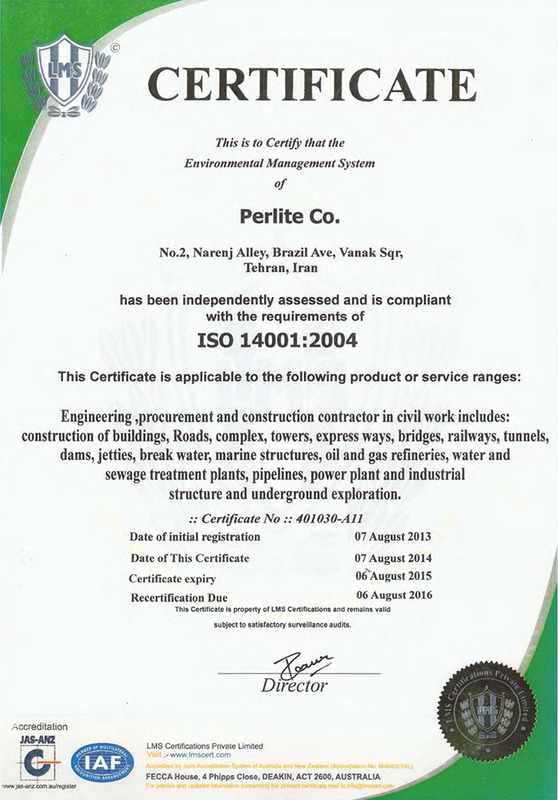 Perlite has received OHSAS 18001 and ISO 14001 certificates.